If you haven’t been down the toy isle of your favorite story yet you might not have noticed that the Green Lantern invasion has begun. The Green Lantern Colossal Cannon is freaking awesome by the way, I’m not sure it is 30 dollars awesome, but it is worth putting on and running around the store for a few minutes. We’ve already talked a lot about some of the stranger things coming out to tie into the film, but we haven’t mentioned Rise of the Manhunters yet. Incase you haven’t seen any mention of it, Rise of the Manhunters is coming out on June 7th for the 360, PS3, Wii, DS, and 3DS. 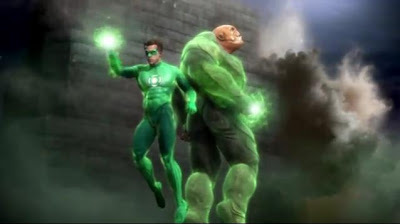 Based on the movie version of Green Lantern they got Ryan Reynolds to actually voice GL in the game. Kilowog, Tomar-Re, and Sinestro are listed as different voice actors though. 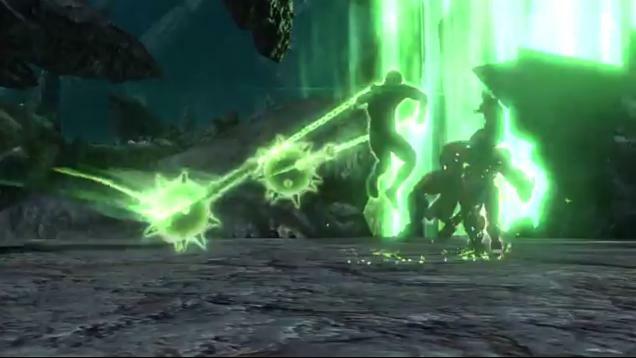 For those not familiar with Green Lantern lore the Manhunters are androids created by the Guardians. There were kind of like a beta version of the Green Lanterns. If you’re worried about the script for the game, they managed to get Marv Wolfman to write it. That is some serious comicbook cred. More info for the game can be found on their facebook, which is located here. Check it out for lots of exclusive screen shots. They are going to be adding new ones every Thursday. From the screens I’ve seen the Wii, 3DS and DS versions seem to have a cartoony look to them. I think I like it. I saw a demo at my local Best Buy and got to see Hal making giant swords, fling robots around the screen, and creating the construct chain gun. The game play looked similar to a God of War style brawler, but I only saw one level. The game does have co-op, players can be either Hal or Sinestro. At least from advance word it doesn’t look like we’re going to get to play as Kilowog. Since our favorite Bolovax Vik may be unplayable I decided to run with the idea of three other Green Lantern aliens that probably won’t be playable; but should totally be added as DLC. If you’ve only started reading Green Lantern since Rebirth you’ve missed out on one of the most badass Lanterns ever. 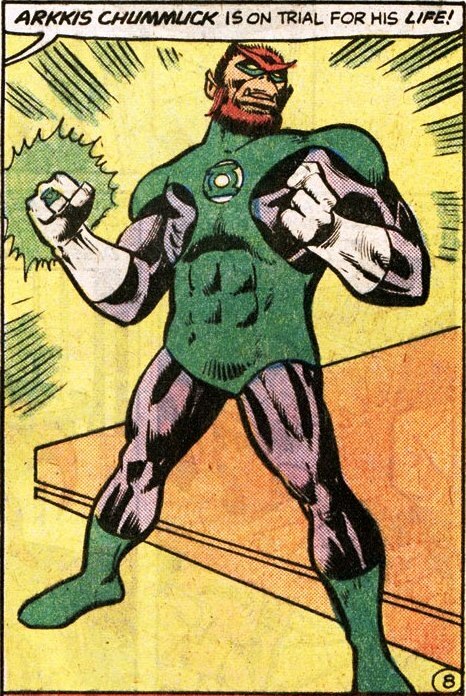 This is the guy who fought his sector’s Green Lantern, defeated him, and ate him. He then used his ring to stop the war between his planet and the one the Green Lantern was from. The Guardians put him on trial and not only found him innocent, they made him a Lantern! Arkkis sacrificed himself fight Maaldor but this is the movie universe, they can totally bring him back. If honorable wolfmen aren’t your thing, how about Bzzd? 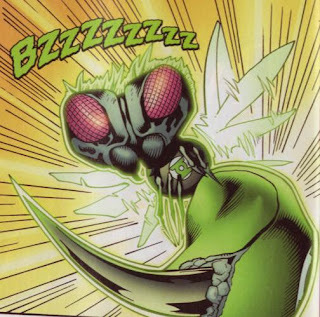 Probably my favorite Lantern created since the relaunch of the Corps, Bzzd looks like a hornet from Earth but is from the planet Apiaton. One of the smaller Lanterns every, Bzzd was extremely brave and used his ring to stand along his full sized friends. Not that I was creating a list of fallen Lanterns, but Bzzd sacrificed himself when the Lanterns were fighting Mongul. It was a very, very sad moment. We can’t forget Bzzd’s partner though! 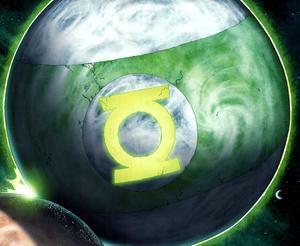 Mogo, the Green Lantern planet! I realize there is no way that he’d ever be playable but it makes me laugh to think about playing as a planet in the vide game. The cut scenes would be the best ever. Come back tomorrow for some more Green Lantern goodness. Yes, that’s right. There is going to be a Sunday update!! I want the DLC to get really abstract and throw in Leezle Pon or Dkrtzy RRR. The more I think about it, the more I'm upset at myself for leaving Rot Lop Fan off the list.